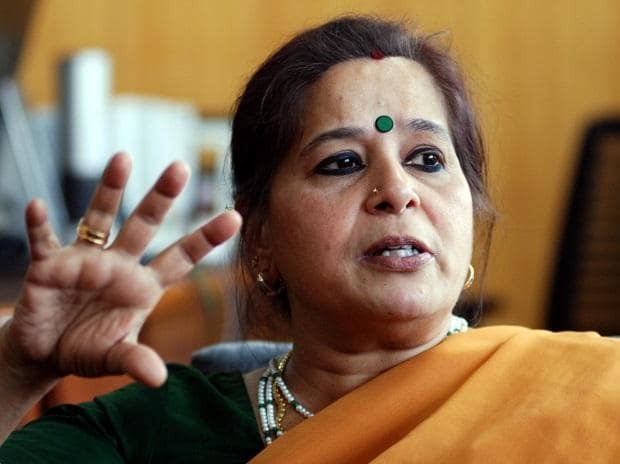 A lower court in Delhi has summoned the former Managing Director (MD) and Chief Executive Officer (CEO) of Allahabad Bank Usha Ananthasubramanian and asked her to appear on May 24, the next date of hearing. The former top boss of the bank has been summoned by the Patiala House Court in Delhi on a complaint by the Reserve Bank of India (RBI) which has alleged that Ananthasubramanian and others did not follow the RBI’s guidelines on Society for Worldwide Interbank Financial Telecommunication (SWIFT) messaging system and wilfully made wrong statement about the same. The complaint pertains to the period when Ananthasubramanian was the MD and CEO of Punjab National Bank (PNB). Apart from Ananthasubramanian, the court has also summoned former Executive Directors (ED) of PNB R S Sangapure, current ED Sanjiv Sharan, former General Manager (GM) Nehal Ahad and Rakesh Kumar, among others. In its complaint before the court, RBI had alleged that the false statements made by Ananthasubramanian, when she was the top boss at PNB, came to light after an audit of the Brady House branch of the bank. The banking sector regulator has alleged that all the information, given by Ananthasubramanian and other executive directors of PNB over the last few years had turned out to be false. RBI also alleged that the false statements made by Ananthasubramanian and the other officers were deliberate and the same was done “with common intention and in connivance with each other”. “It is alleged that the proposed accused persons wilfully made false statements despite being aware of the risks and repercussions of failing to integrate SWIFT with CBS and introducing STP between SWIFT messaging and CBS,” the lower court said in its order while summoning them. On August 14 last year, the government had sacked Ananthasubramanian on the penultimate day of her job as MD & CEO of Allahabad Bank for alleged involvement in the Rs 14,300 crore PNB fraud. In its order, the government had then said the dismissal action against Ananthasubramanian was taken for “failing to exercising proper control over the functioning of PNB while serving as its MD and CEO”. It said SWIFT, an international messaging system used by banks to sanction loans, was also misused. This enabled the fraud to persist over several years. Ananthasubramanian was MD and CEO of PNB between August 2015 and May 2017 and served as ED at Allahabad Bank between July 2013 and November 2013.